There’s no doubt that social media is one of the most effective ways to forge relationships online. However as most of us have probably experienced, it can also take up a whole lot of time. For this reason, I’m always on the lookout for social media tools that can help make my social media activities more efficient and more effective. As always, please add to the discussion by letting me know your favorite tools at the end of this post! Tagboard is one of my favorite social media tools for social media monitoring. It allows you to easily keep track of hashtags on major social networks, including Facebook, Twitter, Instagram, Google+ and Vine. It can be extremely difficult to monitor and track conversations happening across multiple platforms, and Tagboard saves you a ton of time by allowing you to create custom boards with content from each platform. If you are a high-frequency poster on social media, you will appreciate the benefits of using a service like Social Oomph. While there are other products that allow you to schedule social media posts, Social Oomph also allows you to save and re-use drafts, schedule posts in bulk, and submit social updates via email. It also offers advanced searches that allow you to easily find influential or relevant people to follow, and that will even alert you when certain keywords are used on Twitter. While not the fanciest-looking tool, it will undoubtedly save high-volume social media marketers loads of time over the long term. You just knew Hootsuite had to be on here, right? Even if you opt for the free version of the platform, you will quickly experience such benefits as being able to manage multiple social media accounts in one place, and to schedule updates in advance. As a basic social media tool for small business owners, you just can’t beat Hootsuite. And the good news is that if you do decide you need more functionality, like advanced reporting or team collaboration, the pro version of the platform is only about $9 per month. This is another great (free) tool for monitoring keywords and hashtags across multiple platforms. In fact, as it monitors over 100 social networking sites, it gives some of the most comprehensive social media keyword keyword research available. Some of the best features of the platform are its simplicity, ease-of-use, and the analytics it gives for specific keywords. Measuring influence in terms of strength, sentiment, passion and reach, it gives you a quick snapshot of the current status of a particular topic or phrase. 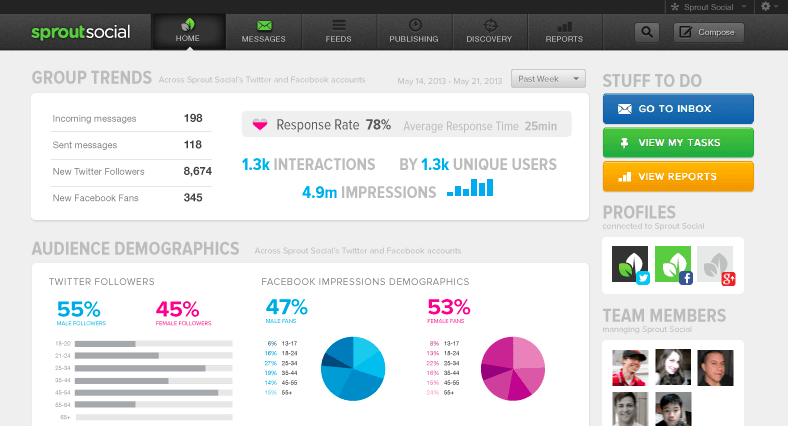 As one of the most comprehensive social media solutions, Sprout Social is extremely robust and feature-rich. While there is no free version (apart from a 30 day free trial), a basic membership is only about $40 per month. While this may seem like quite a bit more than other platforms (because it is), it does offer some unique features that many other services don’t. One of the best features of Sprout Social is their customizable inbox. By allowing you to decide what comes into your inbox, and then reporting on how efficiently you’re responding, you can make sure you’re always on top of your most important messages and tasks. A simple tool, but one that can save you from running countless searches for mentions of your products, website or brand! 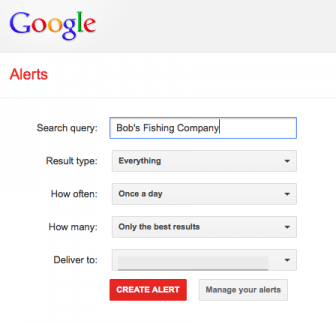 Signing up for Google Alerts is free and easy, and ensures you never miss a brand mention again. You can select as many keywords as you like, and each time the word or phrase is used online, you’ll receive a notification. This is a great way to track mentions not only of your own brand, but of your competition. 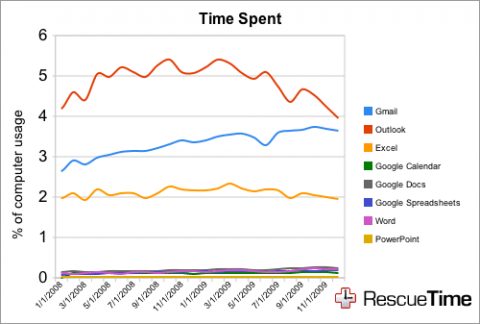 If you ever worry that the amount of time you spend on social media may be, well…excessive, Rescue Time can help! By running in the background of your computer or mobile device, the software tracks exactly which websites or activities you are using, and how much time you are spending on each. An added benefit of Rescue Time is that you can also set alerts to let you know when ‘time’s up’ for a particular activity! If you ever struggle to find content to share with your community, you’ll love Swayy. By finding the most important social media posts and dropping them right into your dashboard, you’ll always have a steady stream of sharable content. The platform also allows you to easily share this content cross-platform with your audience. As you use the program more and more, it ‘learns’ what types of content you enjoy, and most importantly, what types of content resonates the most with your community. No more searching through your social media posts for sharable content…just check your Swayy dashboard! We could all use more friends, right? 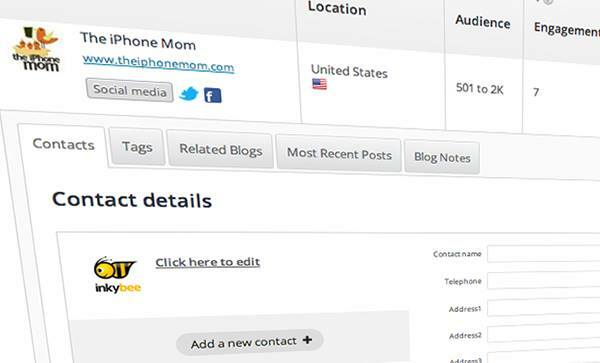 Rather than randomly searching the web for new or influential blogs in your niche, Inkybee does all the hard word for you. Simply type in a keyword related to your niche, and the platform will return a list of the blogs that are most closely related. The best part is that rather than simply returning generic Google-like results, you receive stats on each blog, including audience, engagement levels, posts per week, and number of inbound links. This makes reaching out to influential bloggers in your niche a breeze! There are countless tools that did not make it onto this list, but these are a few of my favorites. As I hoped I have pointed out, working smarter, not just harder, is the best way to make the most efficient use of your time online! What’s your favorite social media tool? How does it save you time? Share below! Thanks Kim for this helpful information. I am aware of Hootsuite, however, based on what I have read here, I think the last tool (Inkybee) is a more complete tool for both analytics, backlinks and monitoring competitor. My question is; is it a free or premium tool? Hi Dare, Inkybee is not free, but it does have a 30 day free trial and it is then deliberately very affordable for small businesses with monthly plans from only US$19/month. And you are right, in addition to finding the best bloggers, it does also have analytics on outreach performance. There are some very useful tools on your list Kim. However, they aren’t precisely the same when it comes to the data they provide, so it would be best to combine several and then use them to complement each other. For example, you can track mentions with Google Alert, but you still need a tool such as HootSuite to manage your social media accounts. I used Google Alerts since 3 years, really it’s so worthy and wonderful to use. Where i can get more update information on my subscribed liking information..
Hi Kim. You really have put it all together here! I personally use a free app, Buffer, which has doubled my content productivity. My favourite feature is the “Connect with Buffer” that analyzes my times and every update added to go out at new optimized times for more clicks, likes and reach. Have you tried it before? 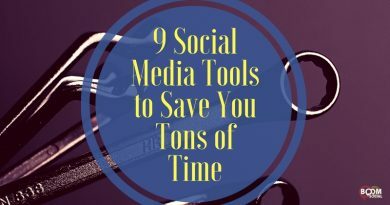 I definitely use other tools you’ve mentioned – SocialMetion, InkyBee and Google Alerts. Have you tried Mention.net instead of alerts? Thanks for the heads up on the link :-)! Yes, I have used Mention.com and like that one too! Thanks for the shoutout Mention, Lior! 🙂 I’ve recently become a huge fan of Swayy. Kim – glad to hear you like it! Please let me know if you ever have any questions. Wow, I never realized there was so many tools. Course I never looked to deep. I’ve been doing more social marketing, so it would probably be most helpful to use the right tools to help manage it. I am with Dany, I’ve only really used Google Alerts. Seems I heard that was changing though? Any one know? I thought I was “in the know” but you’ve shared some great tools that I didn’t know about. So exciting! Thanks for the Information – I didn’t know the most of them! Perfect tools for social media but I think all of them are paid except Google alerts. Can you tell me about some tools which provide same results free. Thanks. Most all of these tools have free versions, Alysha. Hi Kim, Thanks for sharing all the tools, I already knew some of them however some new are very useful for me, such as Social mention. It’s fast and free. This is a really helpful article. I never even knew about all the other sites (except HootSuite) Appreciate you listing them up. Will keep you tips in mind. More power to your blog! Cool apps, I’ve used hootsuite before and worked great. I’ll have to try out the other ones on this list in the future. Thanks for the post! Some great tools here! I am always a bit wary of overscheduling tweets, doing too much automatic posting between platforms, etc., lest I come off as a robot instead of an actual person. Great article Kim! Wanted to also share http://twibble.io with you. Thank you for the very informative post. Its much appreciated! We will definitely try out Swayy and Inkybee for content. Have you tried a tool called Sendible? Its similar to Hootsuite in many ways. If so what did you think about it? I don’t have direct experience with Sendible…been sticking with Hootsuite because it has features that some of the others don’t. Thanks for giving your feedback on Swayy…it’s a great tool! Thanks for the list, I have only ever tried Hoot Suite and have not truly mastered it. I did not know there were so many tools out there for this. Thanks again. Hootsuite is still my #1 go to tool. Quick question – which is the tool or website that gives you the Holiday chart of the various obscure and wacky daily Holidays such as National Cookie Day, National Girlfriend Day, etc? Anyone know? Appreciate any tips. Thanks for the biggest list and the updated info on each tools. Later I was only acquainted with HootSuite but there are so much. I’d like to add Mediatoolkit.com, a real-time media monitoring tool to the list. I use it every day and it has proven to be very reliable, crazy fast, and with a great balance between free features and paid subscription, which is more affordable than other tools I’ve tried. This article is very useful for anyone who is in the online field and want to reach out to their fans & followers and keep them updated about the latest promotions irrespective of the platforms they are using. We usually have to reach out to large audience to let them know about the mobile recharge offers such as Paytm Coupons and Freecharge Coupons and this list of 9 tools you have provided is something we would like to refer to in future. Glad it was useful to you, Parineeti! Not sure if you have had any experience working on these but you should definitely try them out. I use most of the listed tools. I also use buzzsumo and canva. Those are both awesome tools! You could also include Google Calendar and Google Drive which helps you to store the list of social media posts online. I do make use of them for my benefits. Those are also great, Dheeraj! thanks for that nice list of social media tools . I also worked with tools like buffer or hootsuite. Now I prefer to work with Blog2Social. I would strongly recommend it, because it really makes my blogging life much easier. I’m using it, because you can schedule and customize your posts individually for each network and then send them automatically to all of your networks in one easy step. That’s helpful to save valuable time. I have been using Rescue Time and Google service but never know about the Tagboard. Moreover you placed it no. 1 so I may think over it. Anyways great article. Thanks for useful information. There is no order to the numbering system as far as how high I prioritize it :-). Awesome list of tools Kim. I use hootsuite and viralwoot. Hi, Thanks for posting this useful information. This article is really very important for e-commerce, content and affiliate website and moreover for those who do not have to use much tools and manpower also. Such as Social Oomph is tool where you can schedule your posts and Inkybee, amazing sort of content pertaining to your post. Hello Kim, thanks for that nice list of social media tools . Thanks for sharing social media tools list. I check http://sproutsocial.com/ this is really nice tool for me. That’s really amazing. Thanks Kim for filtering out best social media tools. I’m using Buffer free subscription for social sharing. Used Hootsuite in past but I like Buffer better. Been thinking of checking out some of the tools you’ve listed. I guess I’ll just go ahead and see what these tools have to offer me :). very nice article, thank you so much. I love this post! !This post has too much information for a more time read.